The African Darter spends a lot of time around shallow waters. Its food mainly consist of amphibious animals like fish and frogs. The African Darter is able to eat fish and other foods from both saline and freshwater sources. The African Darter is known for its specific swimming style. 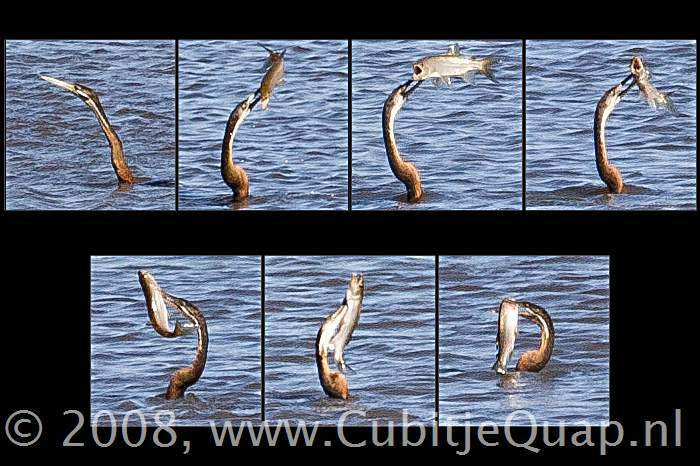 The way it moves through the water resembles the slithering of a snake. Hence its nickname: the Snakebird.